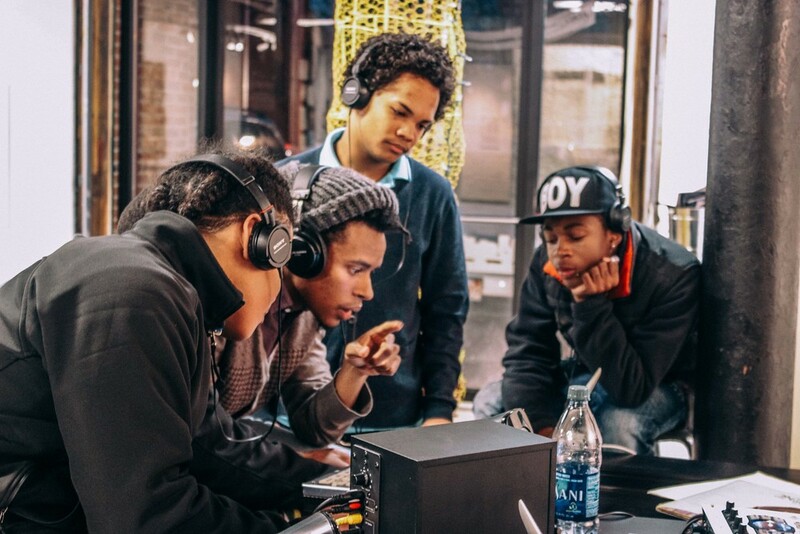 Remixing Boston is a collaborative musical project in which young artists explore the world of audio sampling to create musical arrangements and sound collages that were performed in public spaces. During this project they sampled various sounds from the Stony Brook community: wind chimes, trains, cross walk signals, records from the historic Skippy Whites, and our own voices. 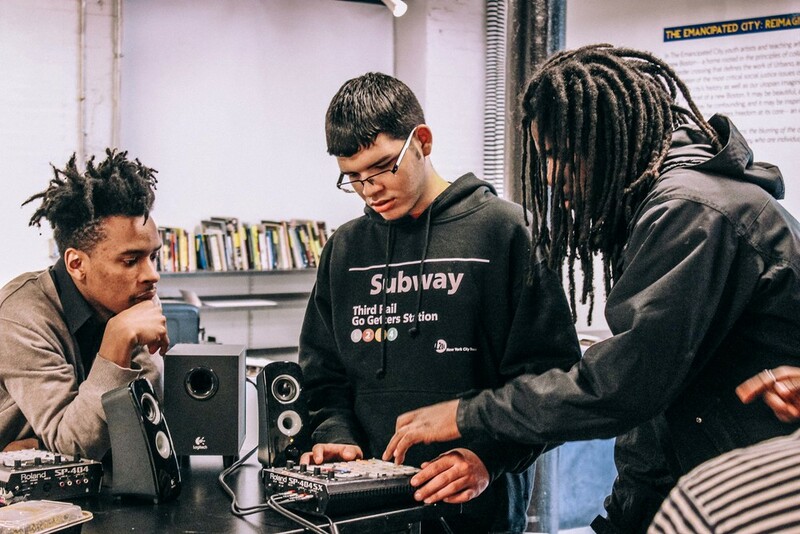 Their mission has been to create a sound collage that not only combines these sounds but also addresses the issues that affect our community. 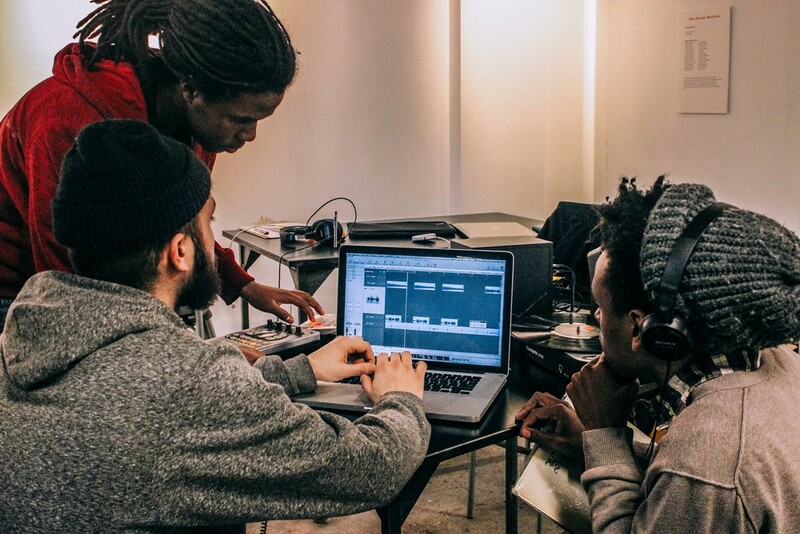 The young artists of Remix Boston worked diligently to create the soundtrack to the Emancipated City. Their music addresses issues that affect their daily lives: education, gun violence, gangs, and racial stereotypes. Armed with the SP-404 wave sampler and Logic Pro these young artists have learned how to create music from any sound that they can find or imagine. After diligently working to create their debut album, "Remix Boston", these young artists in collaboration with Nick Hakim and Charles Burchell presented a work that is not only a collection of songs, but a reflection on the problems and possibilities of Boston's future. Through sampling they learnt that they can create something out of nothing. They learnt that every sound is valuable and that even the most insufficient passages in a piece of music can sometimes be the keys to making a completely new work of art. Through sampling they learnt that everyone's voice is valid and that we all have the power to be a small (or big) part of something truly amazing. The teen artists re-imagined, reinvented, and remixed Boston. Charles Burchell is a musician, composer, and educator from New Orleans, Louisiana. Hailing from Washington D.C., musician Nick Hakim possesses a particular voice that straddles the line between satin and rap.